Amazing “Resort Style Living” at the Hollywood Beach. Have access to both buildings which include amenities such as 2 pools, 2 fitness centers, jacuzzi, 2 social rooms, dry/steam saunas, mini-mart access, and more. Building completely remodeled by 2005 and resold. Italian style kitchen with granite counter-tops and beautiful laminate floors. All hurricane proof windows/doors. 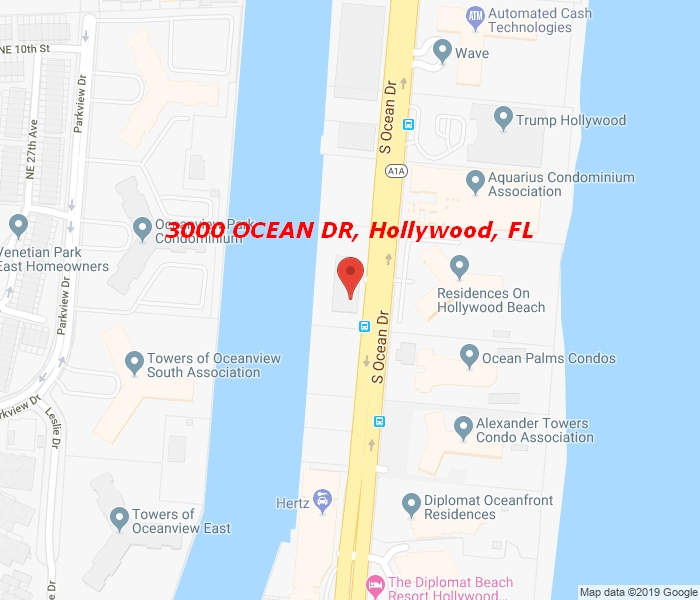 Near the famous Westin Diplomat, Trump Hollywood, Gulfstream Park, Hollywood boardwalk, golf, and much more…Biggest 1 bed/1.5 bath floor plan in the building. (AC electricity, premium cable, up to 2 parking spaces, 24 hours concierge, +more included in rent).